3 stone emerald cut and round diamond trilogy style engagement ring radiating with brilliance and subtle elegance across a modern design. 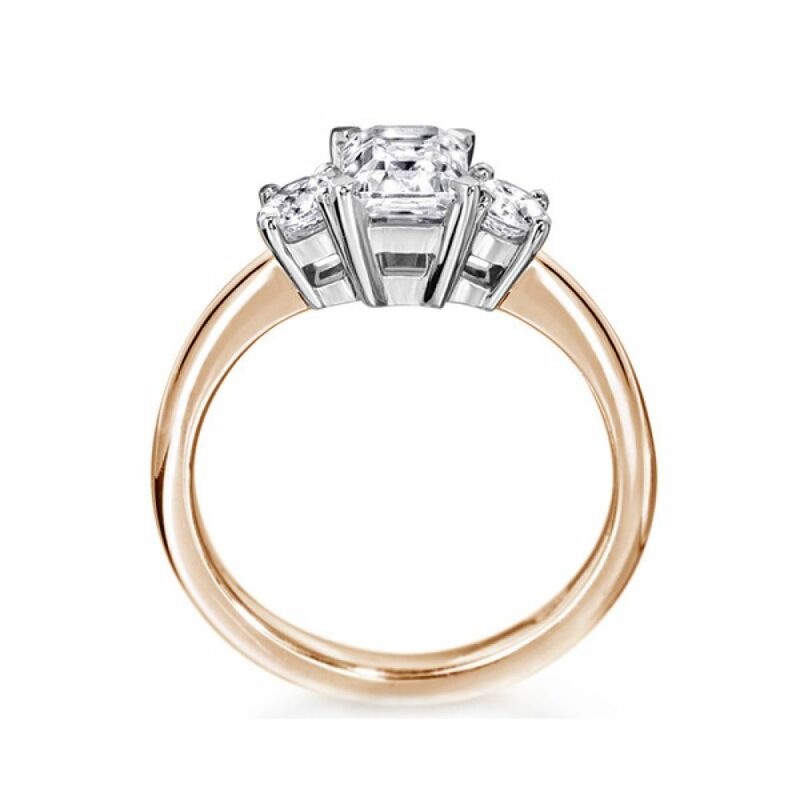 Avery is out exquisite three stone Engagement Ring with Round Brilliant cut Diamonds neighbouring a central Emerald cut Diamond, all held in secure claw settings. Tailor this ring to your exact specifications with the choice of total Diamond Carat weight, and choice of precious metals, available in 18ct White, Yellow or Rose Gold, Palladium, Platinum and 100% ethically sourced Fairtrade Gold. Please allow 3-4 weeks for us to lovingly create your ring for you. We will deliver your ring to your door in bespoke packaging with a slim pocket box for the perfect proposal and the added reassurance of our 60 day return policy and a free size adjustment if needed.